Thunderful have announced that they will be bringing Curious Expedition to consoles later this year. The roguelike adventure / exploration game is set in the late 19th century and has players explore mysterious locations to discover its hidden treasures. We have the official announcement from Thunderful below. Exploration and Roguelike game, Curious Expedition, seeks fame on consoles in 2019. Gothenburg, Sweden – March 1st, 2019 – Thunderful is excited to announce that it’s bringing the incredible voyage of Curious Expedition to consoles later this year. Fans of the adventure/exploration genre will be able to start a new journey on consoles for the first time and experience the roguelike expedition sim that is set during the late 19th century. Explore the most mysterious, unexplored corners of the earth and discover hidden treasures that can lead to achieving great fame and becoming the most recognized explorer of the time! 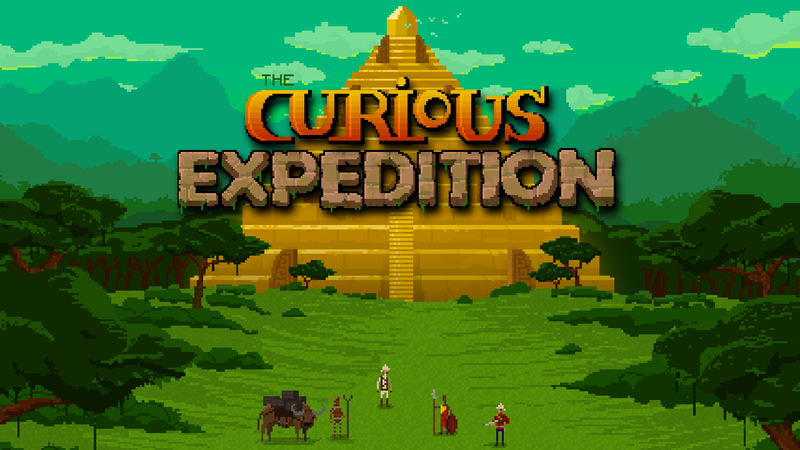 “People have been asking for a console release of Curious Expedition for a long time now. We’re extremely happy to partner with Thunderful to make this happen, so that we can bring the game to a new audience while also giving the opportunity to existing fans to experience the game on new platforms”, say Riad Djemili and Johannes Kristmann, founders of Maschinen-Mensch. Thunderful is also excited to announce that Maschinen-Mensch, developer of Curious Expedition, is hard at work on Curious Expedition 2. It will be the follow-up to the award-winning expedition simulation and is scheduled to arrive on Steam Early Access later in 2019. Curious Expedition 2 will set sail with a brand-new art style and enhanced gameplay, along with vastly expanded content over its predecessor. Prepare yourself to join the legendary Explorer Clubs and venture on unprecedented expeditions to regions that have never been explored. It’s time to collect more fame, science and treasure than ever before!